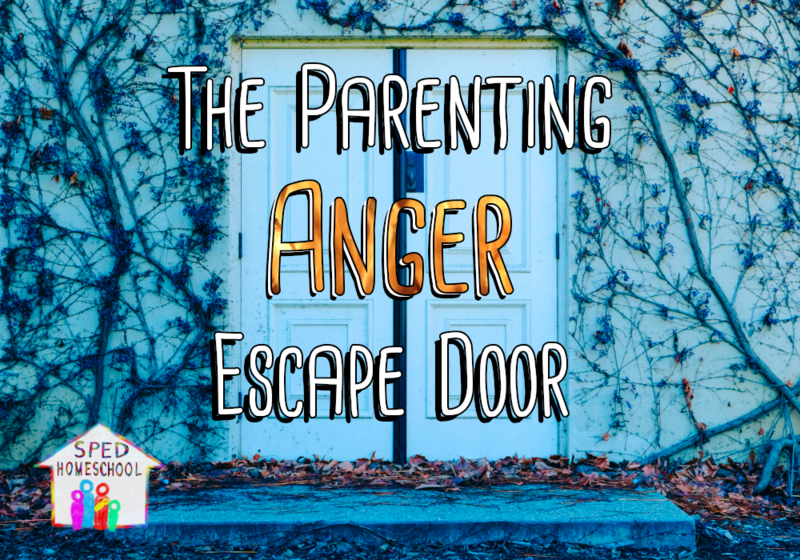 I am excited to have finally reached the third article in my series on parenting anger because the information I share below is what finally opened my eyes to the escape door talked about in 1 Corinthians 10:13. 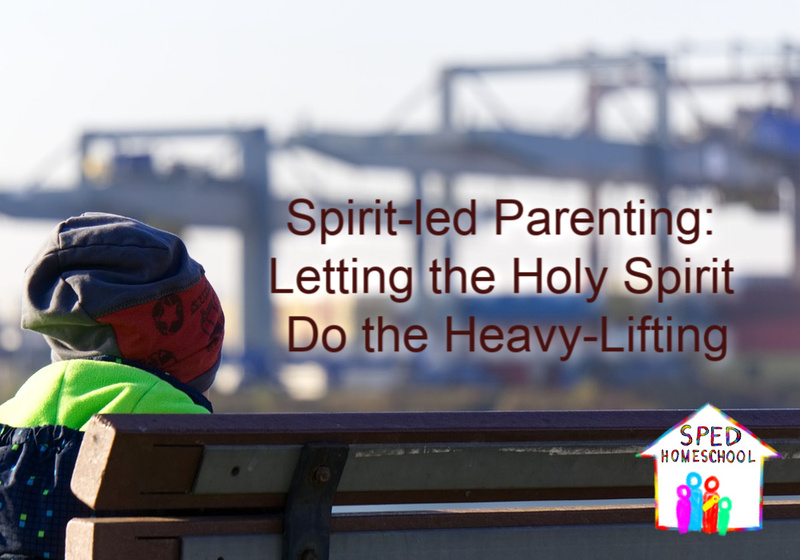 I was familiar with the story of Jesus cleansing the temple in John 2, but one morning I realized this story held the key to escaping my ongoing battle with parenting anger. 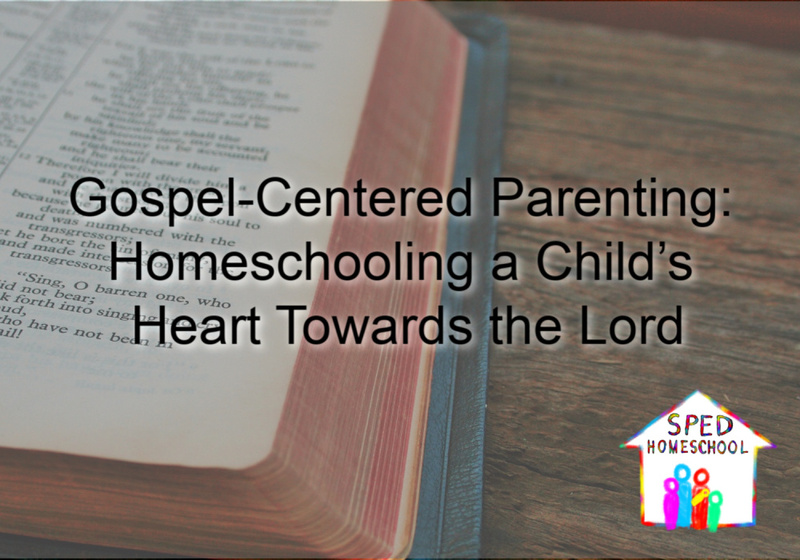 Since that day, these passages have become some of my favorite in the Bible, because they provided me the escape plan I had desperately prayed for every time I lashed out at my children. First, I want you to notice something. Jesus saw a problem. If you are unfamiliar with the Jewish law and customs of the temple, it may seem like Jesus’ reaction to the marketplace-type atmosphere was a bit extreme. But, when you learn that the money changers and animal sellers were taking advantage of the people with weighted scales and “temple-approved” animals for sacrifices towards their own advantage, the picture becomes a bit clearer. Those who had come to fulfill God’s command to worship Him were being swindled by crooked merchants. These merchants were mocking God’s laws and profiting off the people who had journeyed to Jerusalem to dedicate their Passover sacrifice. And it was this injustice that fueled Jesus’ righteous anger. Now, as parents, we don’t have temples and merchants that make us angry, but we do have a lot of other things that trigger our anger and aggravate how we respond to anger-provoking situations. It may help to look back at those triggers and aggravators from my last article if you did not read it or if you are needing a refresher. The secret to not giving into these triggers is to train yourself to see them, identify them, and then disconnect from them. When I am speaking to an audience, I use a rope to signify a trigger. When you see the rope and focus on the problem that is causing your anger to rise, you are tempted to go pick up the rope and neatly deal with the situation as you see fit, just like a fish snaps at bait on a fishing line. At first you may not realize acting upon your anger will tangle you in a sinful response. But, even if you have the initial willpower to step back from the situation for a moment, the more you focus on the problem before you, the greater the pull becomes to act upon it and handle it as you see fit. This is the sinful trap that anger elicits. A temptation to act with a sinful response. To quickly deal with the problem on our own terms, bring justice to the problem we are faced with, and move on from the issue as quickly as we can is the natural human response. But, this is not God’s way of handling problems or how He would desire for us to use the energy we have been given when we see a problem. The key then to turning away from the temptation is NOT to pick up the rope, but instead turn the other direction and do what Jesus did…braid a whip! Yes, you heard me right, but let me explain. The next thing we need to notice from the John 2 passage is the word “when” and the actions that caused a time-lapse in the story. Verse 15 specifically says, “When He had made a whip of cords…” How long do you think it took to gather up long leather strips and braid them, considering the whip was enough of a threat to drive oxen and merchants out of the temple? It had to have been quite a while. What do you think Jesus was doing while He was braiding? When I contemplated this situation, I was taken back to His habit of always talking to the Father, consulting in His plan and seeking what He was doing in the situation. So it would be most reasonable to consider that He was praying and seeking God’s guidance on how to best handle the problem before Him. Anger comes with a load of energy, but that energy was never intended to be used to enact justice. So, what do we do with it? 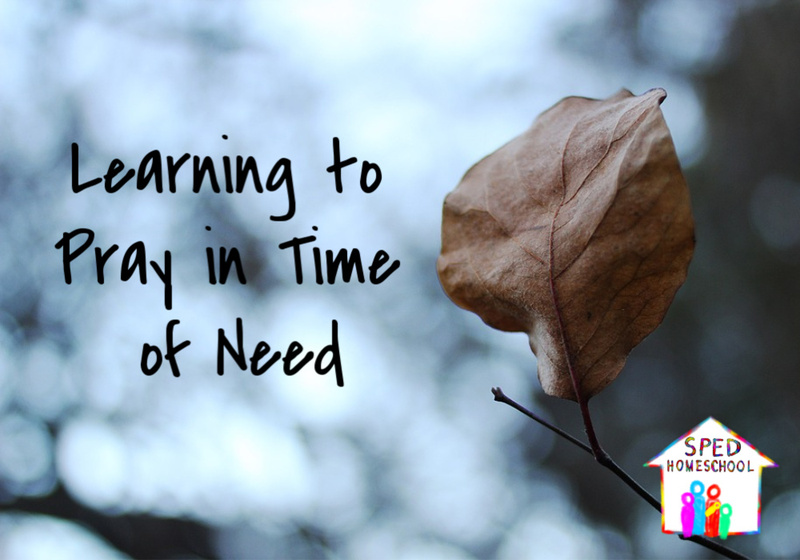 We use it for praying, pressing into God for His plan, and when we need to ensure that we don’t reach out with our own method to take care of the issue, we busy our hands. Now, you probably aren’t going to braid a whip, but I am sure there are lots of things you can do while you are praying, watching, and listening for God’s direction. Laundry, dishes, yard work, sweeping, vacuuming, cleaning bathrooms…you get where I am going. These things are great outlets for our anger energy. And, in redirecting your energy, you have moved towards the escape door, grabbed its handle and have moved away from anger’s sinful trap. Your next thought may be the same as mine, “What about the child who was misbehaving that invoked my anger? 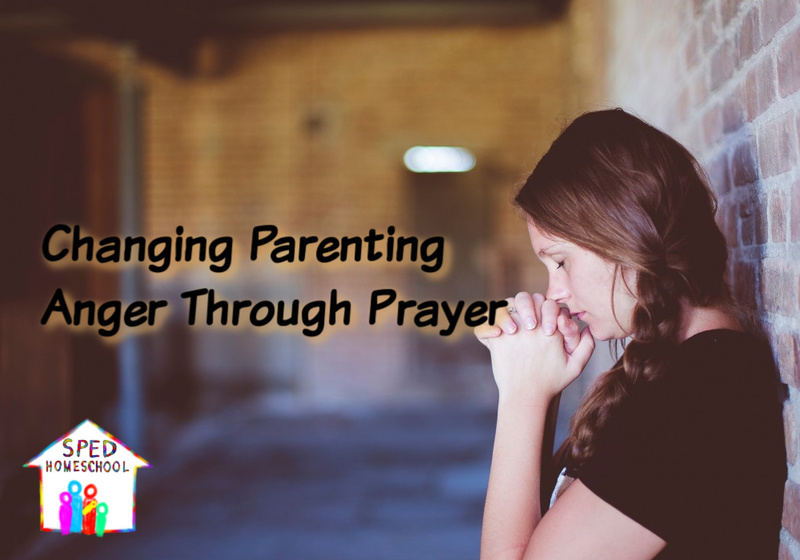 What do I do with him while I am praying?” You will need to wait for my next article to learn how to handle your child’s side of this scenario, but I promise you it will be well worth the wait. For now though, I want you to focus on finding those ropes that lead you to sinful parenting anger episodes. Identify them, label them, and practice turning away from them and busying your hands while you pray and seek God. 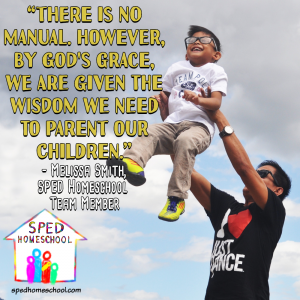 Don’t worry, your child will not turn to the dark side before we get back to addressing his/her issues, but you need to focus on yourself first before you are ready for the next step. There is much fruit to be gained in taking your time and really working on these steps one at a time. 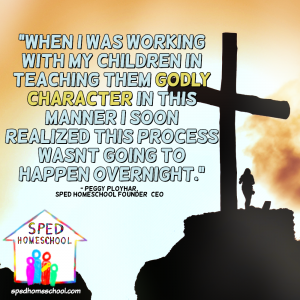 The reason I say this is because the escape door is not a door to nowhere, but a gateway to developing godly character in both you in your children. So, be encouraged and keep pressing forward. 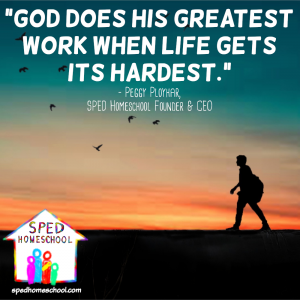 Please feel free to comment on this article in the forum below, or email us at SPED Homeschool if there is anything you would like to let us know about or help walk you through. 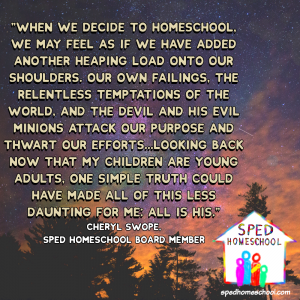 Also, if you are not part of our Facebook support group, I would really encourage you to plug into our community and surround yourself with other families who are homeschooling their children with special educational needs. Having support and knowing you are not alone is important. We know because we have all been there and are willing to encourage you through the places we have been.